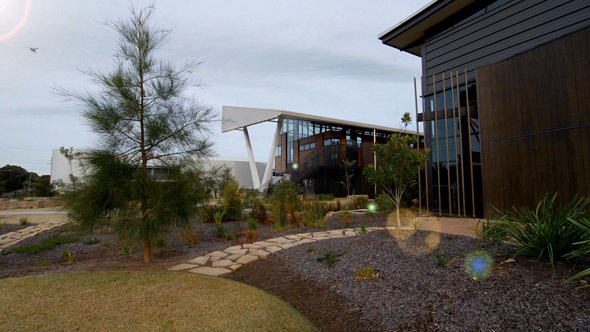 Over the last year Cox Architecture has commissioned Afterglow to profile recent projects including Wollongong University’s tech-heavy Sustainable Building Research Centre. This energy-neutral centre is itself a massive experiment project with deep heat sinks, electric cars, and an array of solar and thermal panels. Another completed project is the elegant MA Noble Stand at the Sydney Cricket Ground. No more waiting in toilet or food queues.